Don't tell anyone. Just say you came in 2nd. That's what I would do. 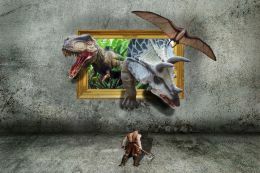 You've given the dinos shadows, but not the frame.